The family group famous for their track ‘We Are Family’ are suing one of the four sisters that made up the act. After leaving the group in 1989, Kathy Sledge pursued a solo career including hits such as ‘Take Me Back To Love Again’. The remaining 3 members have continued to perform as a group and are suing Kathy over continued use of the groups’ name in her own shows. “Although defendant Sledge Lightfoot left Sister Sledge nearly 25 years ago, she has sought to and does trade off the goodwill engendered by the [Sister Sledge] mark and the popularity of Sister Sledge and its hit records by using these as a vehicle for her career,” the complaint said. The remaining members Kim, Debbie and Joni have kept the name Sister Sledge and allege that Kathy’s incorporating the group’s name into her concert posters is infringement of the trademarked group name which is owned by them and causes confusion to the fans. The suit goes on to say that the group have tried several times to encourage Kathy to “rejoin and perform with them,” but she disagreed and instead, “established her own talent/agency contacts and contracts to perform as 'Sister Sledge”. 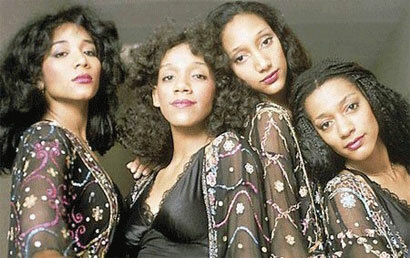 Prior to this claim from Sister Sledge, all four members of the group reunited to sue Warner Music Group for breach of contract, claiming that the label routinely shortchanges artists on royalties for digital downloads of their music. The group is seeking to prevent Kathy from using the group’s name along with profits derived from the name and damages. Looks like this family won’t be having a reunion anytime soon!